When I was growing up Christmas was a big deal. The house would be decked out in Christmas decorations the day after Thanksgiving, the tree was up the Monday after and on Christmas morning the living room was filled to the ceiling with presents. 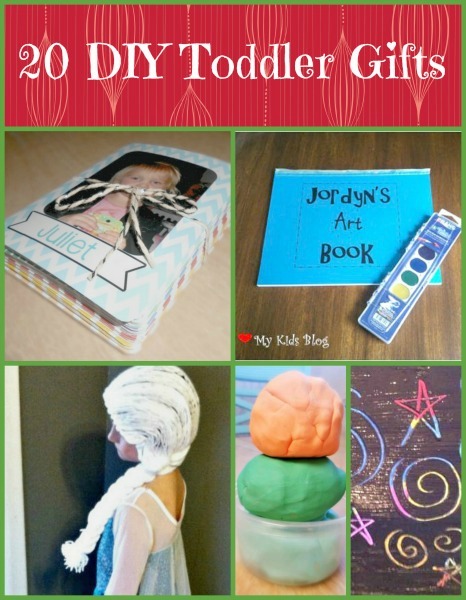 I loved Christmas every year and I wanted to carry on all our Christmas traditions with my kids, one of them being the great stocking stuffers and the presents under the tree. 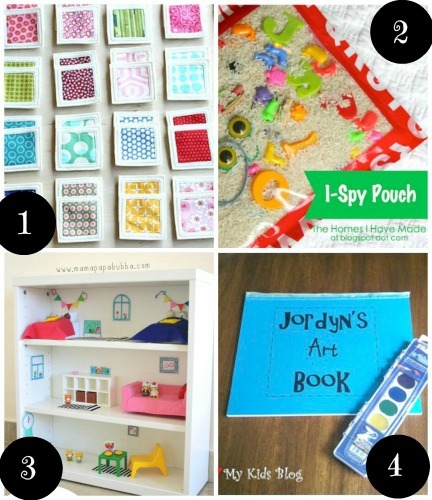 Until recently though I had not known how quickly the cost of toys can add when you are shopping for Christmas and with our small budget for each person there were a lot less gifts under the tree and each stocking than I had thought there would be. 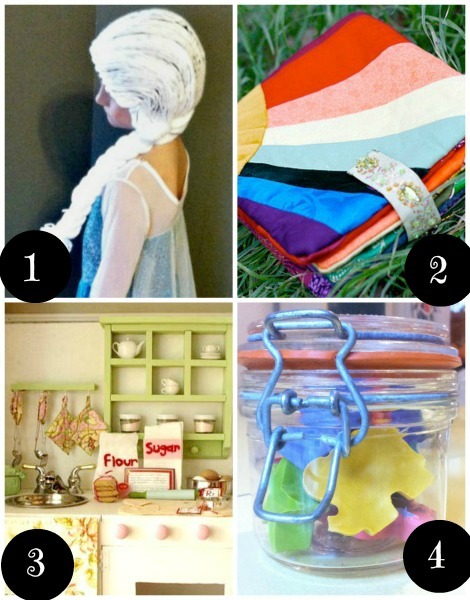 So I had to think of another way to fill up my toddler’s stocking and that was with DIY toddler gifts. 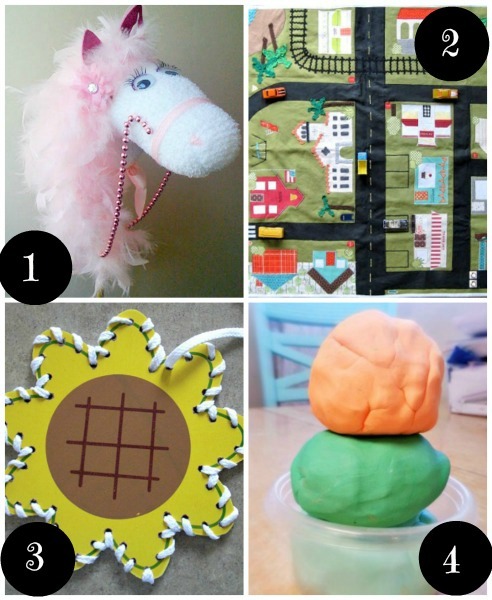 I searched Pinterest and found so many cute DIY toddler gifts ideas and I wanted to share some of my favorites with ya’ll. 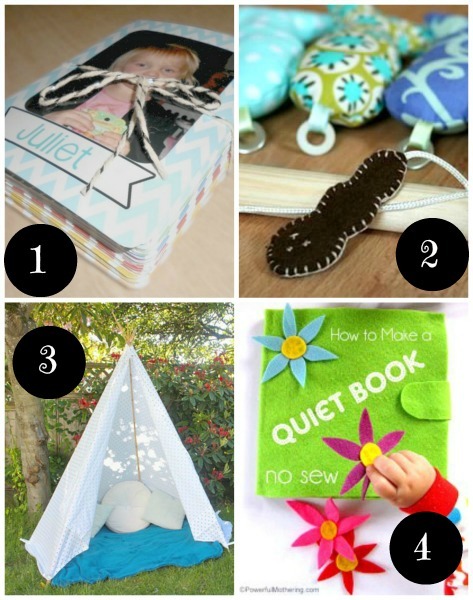 Which of the DIY toddler gifts listed above are your favorite? 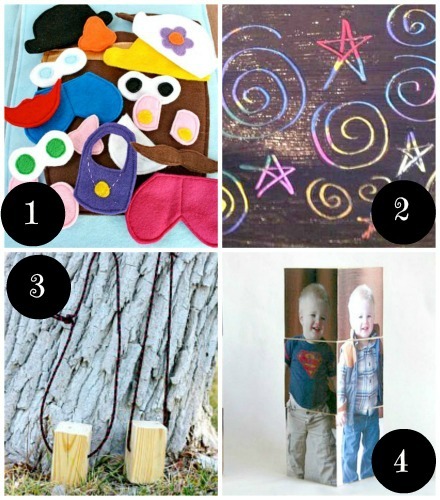 Do you have any plans on making any DIY toddler gifts this holiday season?